Grill fires cause an annual average of $37 million in property damage, according to the Insurance Information Institute (III). Seven out of 10 adults in the U.S. have a grill or smoker, according to the Hearth, Patio, and Barbecue Association (HPBA). Let’s all do our part to keep this favorite American pastime safe and fun for all! Ahhh, nothing says summertime like the aroma of a backyard barbecue entangled in the breeze. 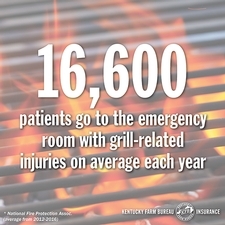 People all across Kentucky will undoubtedly enjoy many fire-cooked meals this season, but despite our familiarity with grilling, sometimes accidents do happen. 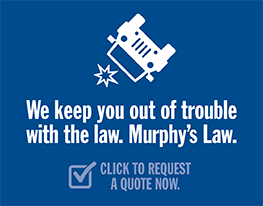 Grill fires cause an annual average of $37 million in property damage, according to the Insurance Information Institute (III). Grill masters: Before grabbing those spatulas, brush up on these safety precautions to ensure simple summer cooking fun. Keep the grill away from anything that can burn, such as your home, garage, deck railings, and landscaping. Don’t cook under the house’s eaves or overhanging tree branches. Always cook on a level surface – and never move the grill after it is lit. Keep children and pets at least three feet from the grilling site. Never grill indoors or in enclosed areas. 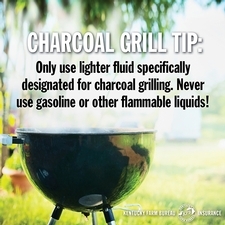 Charcoal grills produce carbon monoxide fumes, which can be fatal in unventilated areas. The cook should wear a heavy apron and oven mitts that reach high on the forearm. 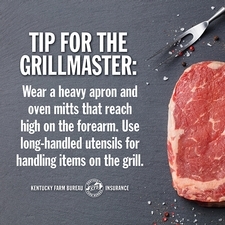 Use long-handled utensils designed for barbecuing. 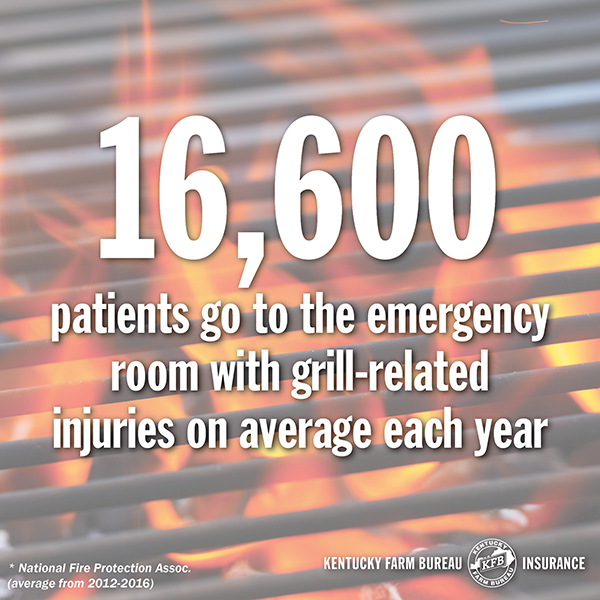 From 2012 to 2016, an average of 16,600 patients per year went to emergency rooms because of injuries involving grills. Nearly half of those were thermal burns, according to the National Fire Protection Association (NFPA). Only use lighter fluid designed for grilling when charcoal grilling. Never use gasoline or other flammable liquids. Once the fire has started, do not add more lighter fluid. Never leave your grill unattended while lit. After the food is served and the grill is turned off and cooled, clean it by removing grease and fat buildup on the grates and trays below. 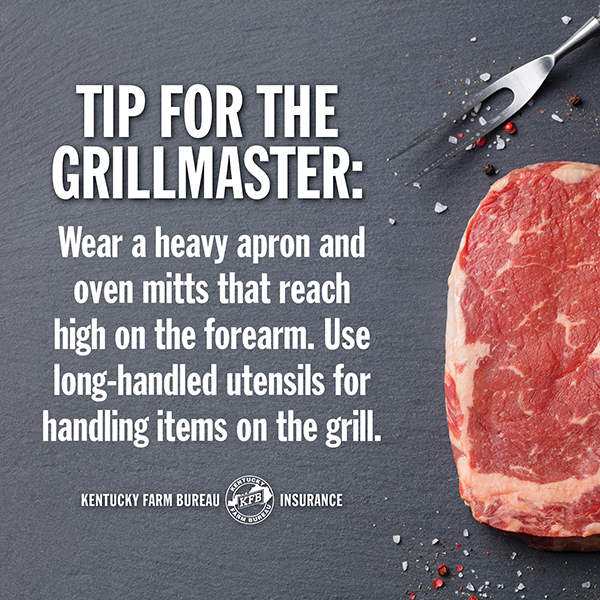 Make sure the grill is cooled before storing or covering. When you’re done cooking, remember that the grill will remain hot for a while. If using a charcoal grill, let the coals completely cool before disposing of them in a metal container. Cover your grill when cooled and not in use to help protect its parts from inclement weather, falling leaves, and insect activity. Last, but certainly not least, keep a fire extinguisher on hand. It could ensure that your fun summer day stays that way.